Well-designed and responsive pricing is one the best tools of stimulating customers to order on your site. Our plugin not only enables visitors of the website to visualize and compare several price plans quickly. It also helps increase conversion by means of using smart tricks in design and templates. Get sales of your site to another level, using a powerful pricing plugin. 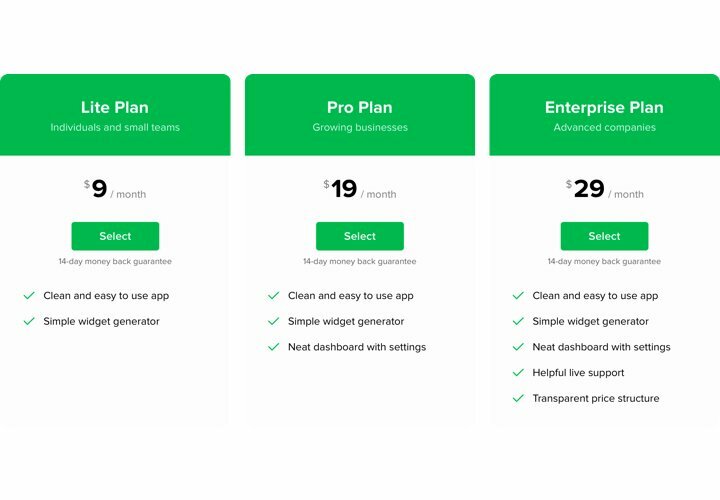 Use the smartest design, to fight fears and doubts of your clients that may appear while making a decision to buy – and level up your conversion. Customizing plugin in just 3 minutes. Create your personalized plugin in a matter of seconds. Align the desired parameters of template and add your content – display it all in only a couple of actions. 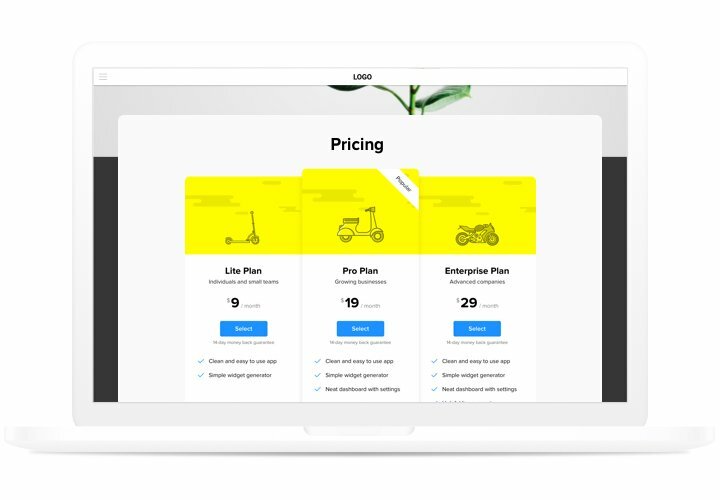 Make your pricing exciting for visitors. 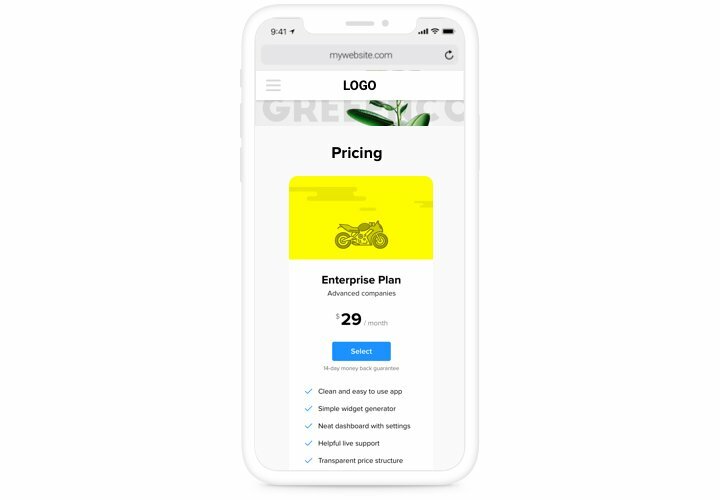 Choose the needed colors, insert elements, use images to make your pricing enticing for customers and bring positive influence on the the buying result. 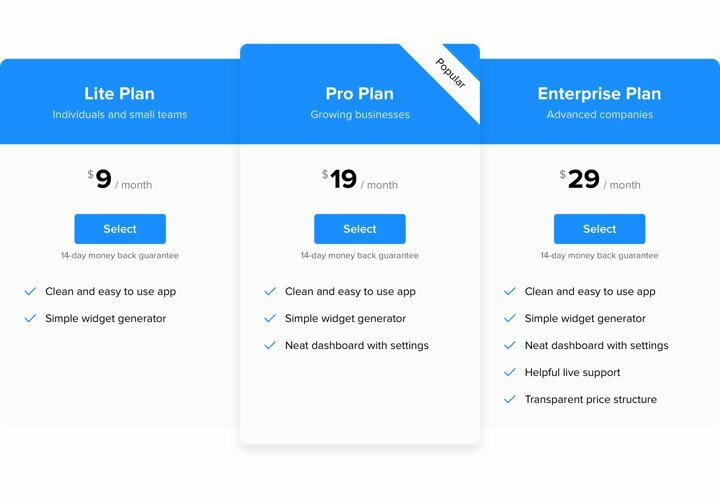 The advantages that turn our pricing table into the best plugin for WordPress websites. A tutorial on inserting Elfsight widget. To fulfill it, you don’t need experience in programming and it will not take much time. Make several easy steps in 3 minutes. Acquire and add the plugin. On the plugin page, press «Add to Cart», to get the pricing plugin. Then, log into the control panel of WordPress site and on «Plugins» tab install the Elfsight Pricing Table. Change parameters for pricing widget and copy the code for adding the plugin to the site. Find the page where to insert the plugin, and paste the widget code there. Apply all the changes. Open your WordPress website to view your results. Having troubles with adding the plugin to your website? 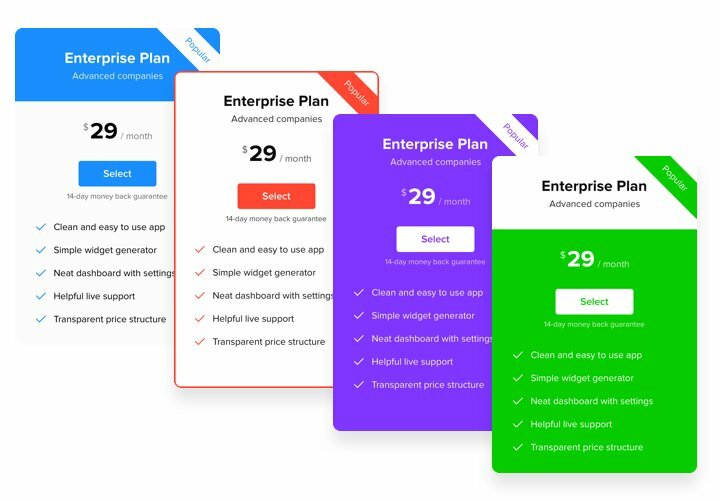 Check our thorough instruction «How to install pricing table into a WordPress» or leave a message for our support team – they solve all kinds of problems in a flash. 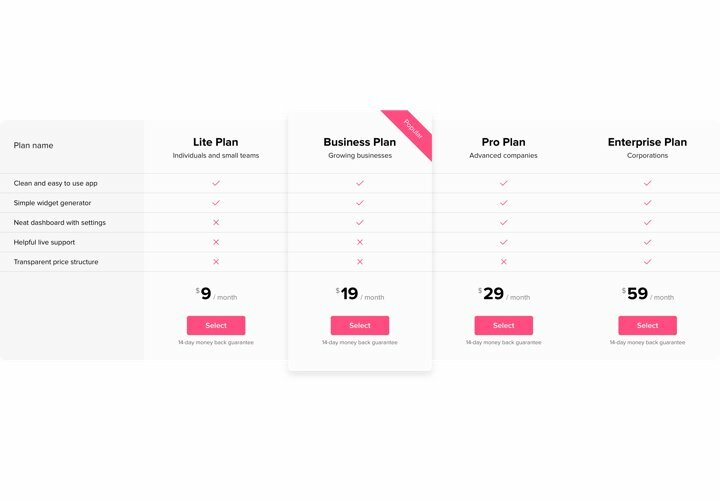 Get the best Pricing Table for WordPress in only 70 seconds!